"A Free Man of Color and His Hotel” weaves the story of a uniquely successful black businessman into the burgeoning post-Civil War political struggle that pitted the federal government against the states' desire to remain autonomous. Born in Washington, D.C. Unfortunately, due to sales rights restrictions, we cannot offer A Free Man Of Color And His Hotel for sale in your country. 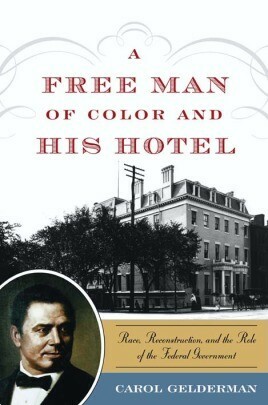 “A Free Man of Color and His Hotel” weaves the story of a uniquely successful black businessman into the burgeoning post–Civil War political struggle that pitted the federal government against the states’ desire to remain autonomous. Born in Washington, D.C., James Wormley worked as a hacker in his father’s livery stable there and as a steward on Mississippi River steamboats before establishing his own catering and boardinghouse businesses. During a period of limited opportunity for African Americans, he built and operated D.C.’s luxurious Wormley Hotel at a time when most financial and governmental business was conducted in hotels. Not only did a number of notable diplomats and politicians live at the hotel, but because of its location in the city’s commercial and political centre, Wormley also hosted Washington’s movers and shakers. Wormley’s rise, however, occurred as three landmark decisions by the Supreme Court effectively dismantled Reconstruction and led to the Plessy v. Ferguson decision that legalised segregation. This cautionary tale illustrates how key Supreme Court decisions hindered other African Americans’ potential successes after Reconstruction. By examining the issue of states’ rights in terms of one man’s against-the-odds success, Carol Gelderman shows how these same issues are still relevant in a post segregation United States.